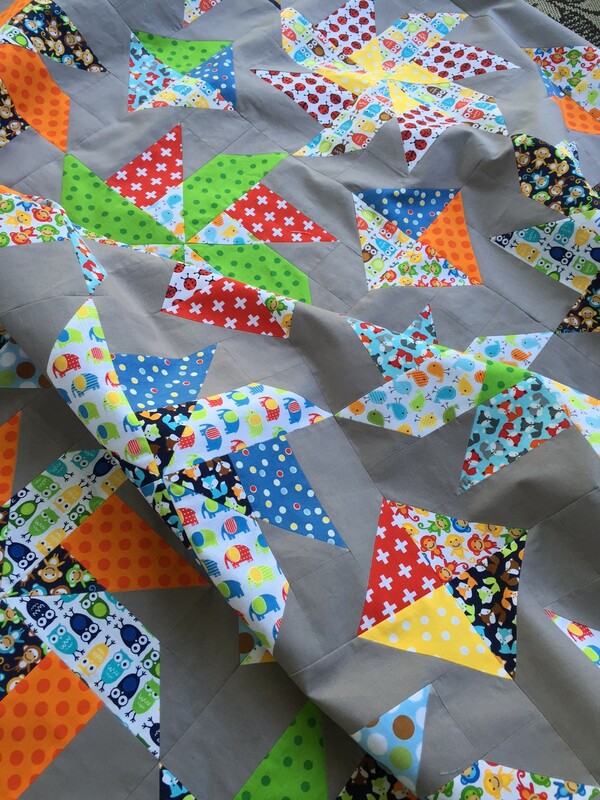 Your quilt looks so bright and happy! I like it even more than the one in the book! 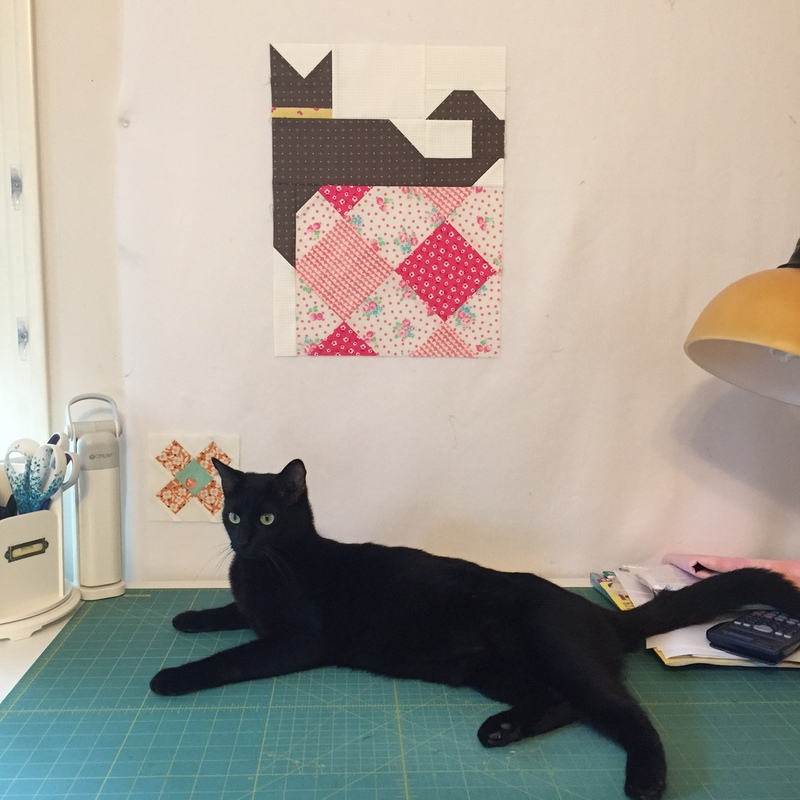 Your cat posing for the block is perfect! How did you get her to do that? 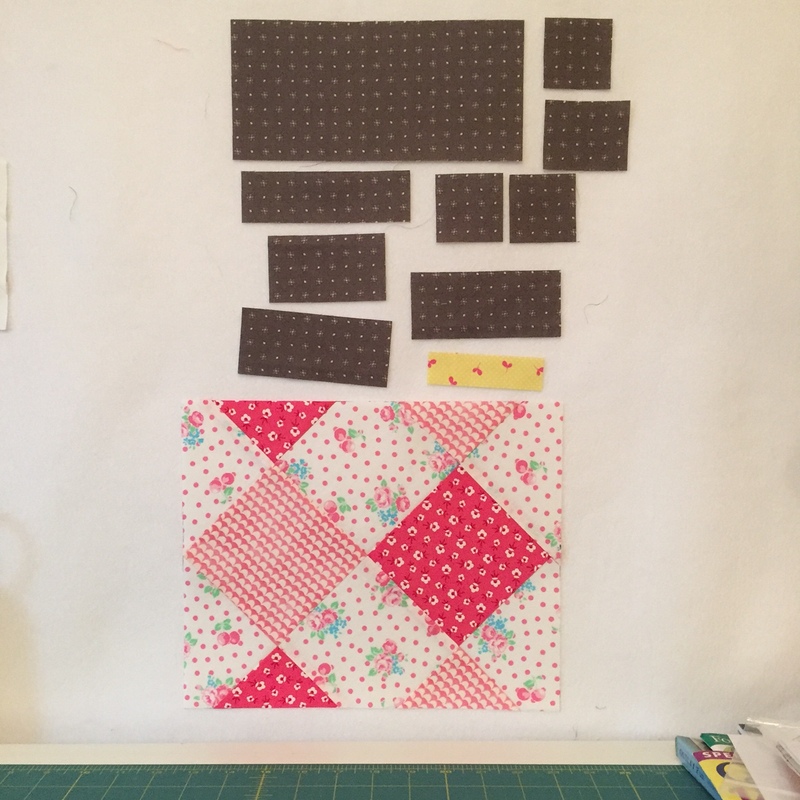 ha I am looking to see how you are coming along on your Gigi’s Thimble quilt with the Farmhouse fabrics! Violet and her namesake block are both looking good, Jennifer! I want to make the Snapshots bicycle block, too. Have you already chosen fabrics? 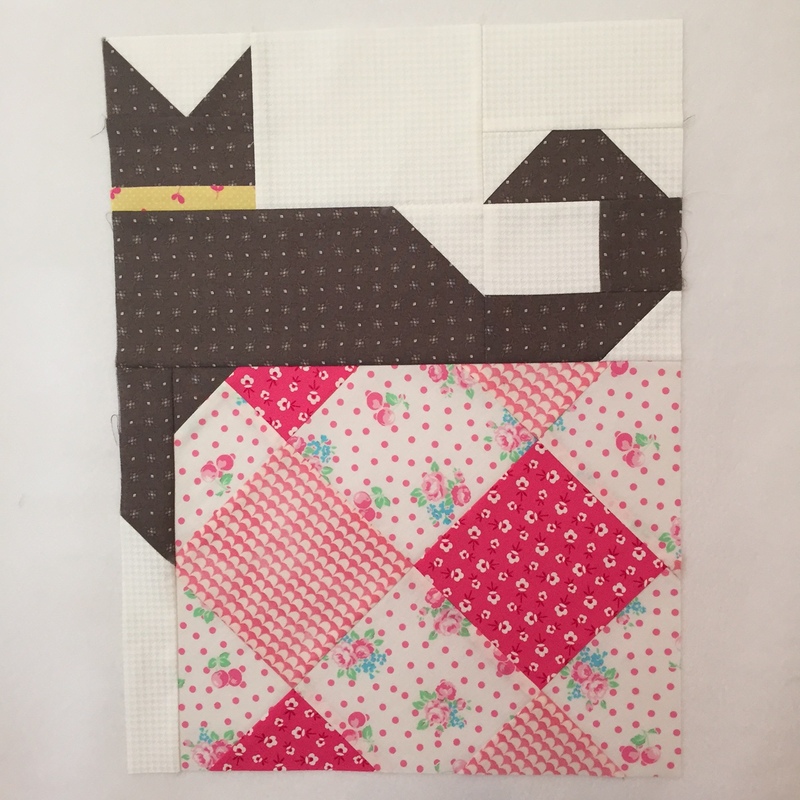 I love the baby quilt. 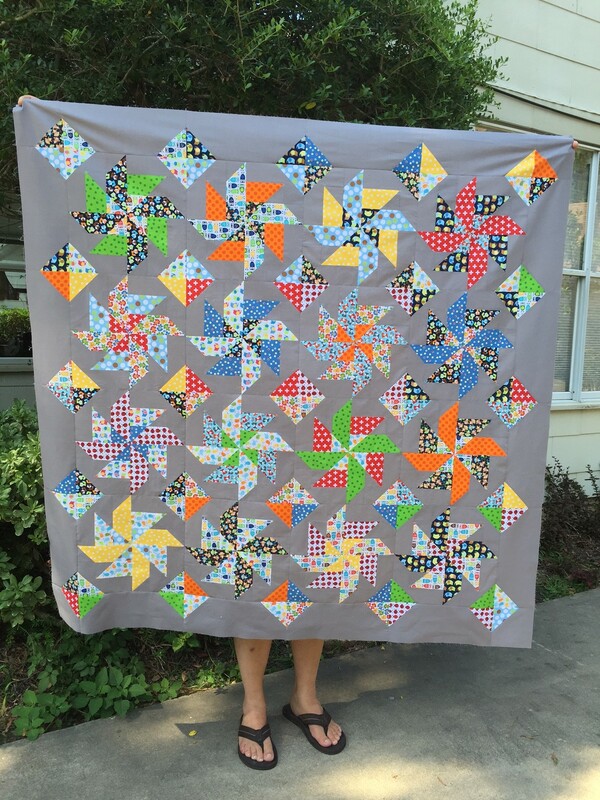 They gray background and bright fabrics are perfect. Awesome! Thank you Tanya! I hope the baby parents like it too – a little non-traditional.